You’ve invested considerable energy, time and money over the years to build a strong family business. As you plan for the future, you realize the day will come when you’ll have to hand it over to the next generation and make a graceful exit. As you plan your succession, there are three aspects of this transition that you will want to consider: financial, health and lifestyle. Most entrepreneurs take great care to address the financial issues of tax planning and wealth management with their accountants and lawyers. They also consult their doctors about maintaining a healthy lifestyle. Yet, in our experience, many entrepreneurs neglect the challenge of what comes next for them personally – the lifestyle issues. It’s not hard to understand why most entrepreneurs are typically reluctant to grapple with these issues. Over time, the family business becomes a large part of them and their lives, essentially a part of their identity. So planning their exit may feel like planning a funeral – a necessity that we may be tempted to put off or avoid entirely. After all, leaving the business is an emotional process, so much so that it is typically the greatest impediment to succession planning. Of course, you cannot stay around forever. At some point, you will have to sell or hand the business over to a new leader – your son, daughter or someone else – and let him or her take the reins. We’ve found, through working with Atlantic Canadian family business owners, that the longer you put off planning for and executing your transition out of your company, the greater the risk to your entrepreneurial legacy. Moreover, such delays can lead to tensions between you and your family members, causing long-term damage to these important relationships. Every family business and every business owner is unique, so there are no standard formulas or processes you can follow to successfully exit your company. Yet there are a few suggestions you can consider to address your lifestyle issues and develop a plan that is right for you, your business and the new leader. Define what work means to you Start by looking at what your business or work means to you. For many entrepreneurs, work is more than a way of making a living or providing for the family. It may be integral to your self-esteem – your vision of who you are. It could be that you feel a sense of fulfillment or accomplishment knowing that your company is contributing to your community. Or it may be that the social aspects of work – the connections you enjoy with your employees, suppliers or customers – you value most. By examining what your work means to you, you can decide which gaps will be created when you leave the business and plan to fill them. For example, if work has been a primary source of social activity for you, consider joining an industry association board or advisory committee, creating an informal network with former colleagues or volunteering. 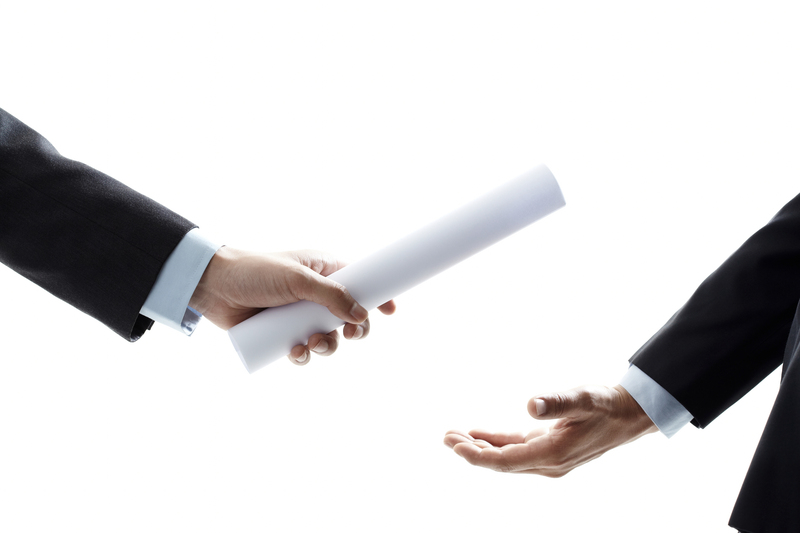 Make a gradual transition Family business owners often think of succession as an event as opposed to a process. They picture walking into the office one morning as the President and leaving as a nobody at the end of the day. In truth, the most successful successions are more gradual transitions where you cede responsibilities over time replacing your new found time with different activities that feed your passions and maintain your energy, enthusiasm and sense of self-worth. Take a few weeks to make an inventory of the activities and responsibilities that matter most to you — the ones you will have a hard time giving up – and the ones that aren’t so important. Using this inventory, start your transition by first scaling back on the work that does not feed your passions. Over time, gradually hand over the activities and responsibilities that matter most to you. By gradually handing over the reins you will allow yourself time to adjust to a new balance of work and life. This gradual transition also benefits the business. It gives the new leader time to learn the business and further develop their skills, ensuring that they are fully prepared to take the mantle when the time comes. Think about what’s next Knowing what you are passionate about will also help you to decide the lifestyle you want once you have installed your new leader. If you get energy from interacting with people, relocation to a remote area may not be right for you even if you have always enjoyed short vacations there in the past. If you enjoy leading and managing people, you probably shouldn’t simply plan on transitioning your management interests from the office to your home. You might instead think about how you can play a leadership role in a volunteer capacity or you might plan to spend time teaching. You could also consider playing an on-going role as an advisor or governor in the family business by creating clear boundaries that allow you to feed your passion for mentoring and also give the new leader the space and authority they need to be successful. We also recommend that you engage your family members as you think about the lifestyle issues that are involved in your succession. They often know you best and can provide insights that you are not aware of. They will also be able to be more supportive of your transition if they have a window into what you are thinking and feeling. If you do not include family members in your planning, you risk having them attribute your reluctance to move forward with your succession as a lack of trust for the next generation or a disinterest in spending more time with the family. Ideally, you should start planning how you will make your exit from the family business years before you intend to leave. This will ensure you have plenty of time to address the lifestyle issues that are critical to successful succession and all of the emotion that goes along with considering the transition from one stage of life to another.